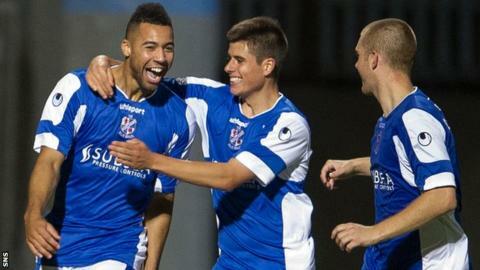 Cowdenbeath striker Kane Hemmings has been voted Scottish Championship player of the year by PFA Scotland. The Englishman, 23, has scored 21 goals this season for the Central Park side, having joined from Rangers last summer. Hemmings featured as Cowden boosted their chances of avoiding the relegation play-offs with victory over Raith Rovers on Saturday. Jimmy Nicholl's side face Queen of the South on the last day of the league season next weekend. Ninth-place Cowdenbeath currently trail Alloa Athletic by a point.